… because now you can be in constant contact with me, female fat loss expert, Shawna Kaminski. Hi! 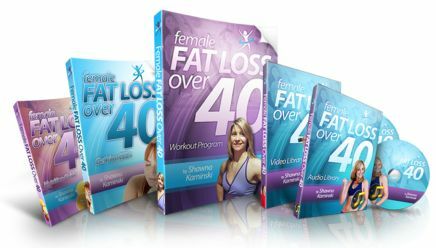 I’m Shawna Kaminski Fitness Instructor and author of “Female Fat Loss Over 40”. I’ve worked with hundreds of women that were struggling with your same issues. I can give you the tools to get your lifestyle on track. You will be accountable to me for your fitness and nutrition for six weeks. I will help you build in routines that will become habit forming so that when you are done this six week body transformation, you will not only look and feel better, you’ll have the lifestyle habits to support your weight loss and fitness program. Read on to see the success stories of those that I’ve already helped to take control of their lives and now they are finally happy with the way they look and feel. You can have an abundance of energy as you fit into your clothes better, feel stronger, leaner and look your best. This is an ongoing, growing list as every year I continue to educate and update my training expertise to stay current in today’s expanding field of adult physical fitness training. If you’re here, and you’ve read this far, then I’m guessing you’re here because you’re finally ready to get into the best shape of your life. 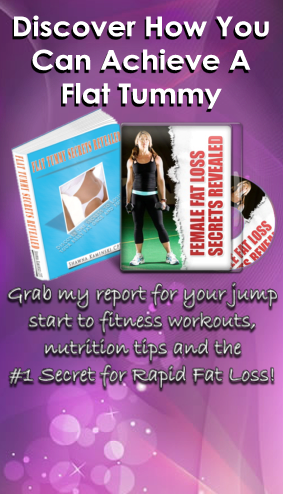 So be sure to read though this entire web page and discover why hundreds women just like you trust me to help them achieve their fitness and fat loss goals. I know the situation. You have all the best of intentions and you’ve been chasing that elusive pant size for a long time. You try to diet and exercise. Nothing seems to work. You may even have an exercise program that you’ve been following, but it doesn’t seem to help you reach your goals. It’s either your diet that’s off or the exercise routine that’s not quite right. In any case, you’re not successful. Now you can have me around the clock even if you can’t train with me in person. I’m offering my Virtual Shawna 24/7 to a select few clients that qualify. You will have my Female Fat Loss Over 40 and 21 Day Rapid Fat Loss programs to follow to address your fitness needs. This entails DAILY DIRECTION via email on what workout to do. You’ll have the support of a video follow along workouts, video library, exercise pictures and descriptions and have constant contact with me via text messages and emails to ensure that you’re on the right track. 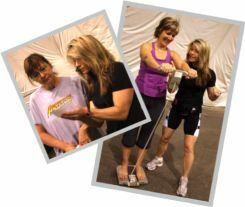 Membership to my blog with workouts and follow along videos from my amazing transformational Fit Body Boot Camp. You will have access to my transformational nutrition program and social support group. You will do before and after photos to quantify your results. You will participate in a special Facebook support group to have your nutrition and fitness concerns addressed and get support from the group. But the biggest key to your success is The Accountability component! Constant contact – We sill be in constant communication with each other EVERY DAY through emails and texts. Program Accountability – You will be expected to train daily with a prescribed workout and you’ll report your intensity level to directly to me. No More Procrastination Allowed – We’ll set your goals together and make a plan to see them through. Daily Accountability – We will review your nutrition, exactly what you’re eating and we’ll tweak it to make sure you’re on track. Proof – We will take your ‘before’ pictures so that we can track your progress from start to finish. Coaching – We will jump on the phone for a 30-minute group coaching call to get you going where we can get into more detailed problems or concerns. Unlimited Support WHENEVER You Need It – You will have unlimited text and email access to me. Have a question? Fire off a text! I am here and dedicated to YOU! This is far more than having a trainer, this is basically you packing a bag and heading off to “fat camp”. Only I am bringing the “camp” to you and you will get to learn how to succeed in your own environment. If you’re really serious about getting fit and lean, this is your answer. There is no program of this kind available anywhere else with 24/7 support. I used to charge upwards of $100/hour for personal training, but I’ve chosen not to do personal training anymore. You will get hours of my time and expertise for a fraction of the cost. And, this is one of the few ways to tap into my expertise on a one on one level. Your cost? Would you believe that you’ll get all this support for less than $12 a day? In fact, it’s just two payments of $239 for the virtual program. If you live in my area and qualify, I have a similar ‘hands on’ program for two payments of $429 (this includes your daily face to face training). This is an EXCLUSIVE program for only those that are serious about making serious lifestyle changes! Click Here for information to see if you qualify and how to register. I only take a select few into this program. I tried the Shawna 24/7 program to see if I could lose a little bit more weight. I had stayed at the same weight for one year but wanted to lose some more and was finding that difficult.The biggest benefit to this program was there was someone to talk to about fitness and nutrition. There was added motivation to exercise and eat well. Just reporting to someone that the exercise was done for the day and the nutrition was going well was helpful. By the end of the program, I felt stronger. At the end of the program there was a meeting with the other participants in the group. It was very interesting to hear their stories. There is always something to learn about nutrition and exercise. The thing that surprised me most about the nutrition is that I was getting too much of some things like sodium and not enough of other things like calcium and potassium. The feedback from the nutrition program was helpful in this way. I am more aware of correlation between getting the nutrition right and feeling well. It was also a lot easier to exercise more intensely in boot camp than it was on my own. The lifestyle change that I hope to be able to maintain is to exercise and eat well consistently. I would recommend the program because it allowed me to focus on my health and fitness. There is so much information available about health but that can sometimes be overwhelming. Shawna is so knowledgeable in this field and I felt that I could trust her program. I committed to the 24/7 program because even though I was fully committed to working out, I wasn’t committed to any sort of diet or eating regiment and I wasn’t losing any weight. I loved the support, and the regularity of the program. I had the flexibility of going to 3 or 4 camps each day, which is the only way that it could have worked with my shift work schedule. I learned a lot about portion sizes, caloric intake, sodium content, fat content, etc. using the vitabot program. One of the most important things I learned was a saying of yours “you can’t out train a bad diet”. Also, I really enjoyed the grocery shopping tour, the pantry raid (mortifying, but revealing). I would absolutely recommend this program because I was successful on it! It isn’t rocket science to know that calories in must be less than calories out in order to drop weight, but it’s easier said than done. You are did an excellent job with the program. It’s the best money I’ve spent in a long time. Lesley lost 11 pounds, 10 inches, 4.5% body fat and increased her muscle by 3%. I think you were awesome and also very understanding. I’ve already recommended you with my friends. I lost 21.5 inches and 6.4 pounds – I guess weight doesn’t really matter when you lose inches. I was in the midst of a family crisis and felt myself slipping into a bad place. I checked out the site and just knew I had to sign up. 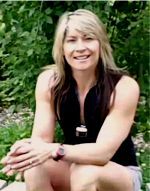 The biggest benefit was that it kept me out of that dark hole – sometimes I was skirting the edges but didn’t fall in.Once I got the hang of the online nutrition program the benefits were clear. I still work on being consistent. This is not a negative to your program but for me I could use another 6 WEEKS!! Lots of great info and exercises and tips – it takes time to sink in. I always knew that you were there for me 24/7 – I just needed to reach out. Other than coming over and taking me by the arm to camp – there wasn’t much else I could have asked for. I would recommend this program as I am confident that it is based on solid, well researched information. I believe Shawna is a great person that truly wants to help people (ME) get strong, lose weight, and feel great. She is wonderful and is very patient. I enjoyed having a different workout everyday, made it interesting. I’ve been reading labels for a long time but I’ve never really paid much attention to the vitamin & mineral component of food, but with the Virtual Shawna 24/7 program I’m paying more attention. The nutrition program really was an eye-opener. I have quit using sugar (even just a little bit) on my cereal; cornflakes, special k, oatmeal, etc.I thought you did a great job Shawna! And I’d definitely recommend her Virtual Shawna 24/7 program. Thanks again for all your support, you’re awesome Shawna!! Good morning Shawna.I am doing well. Measured and weighed today and I’m so pleased!! My 1st full week of using the on-line nutrition tool and I am down 4.6 lbs and 2.75 inches!! Again the exercise has been sketchy this past week. My new goal for this week is to concentrate on making the exercise a huge priority – not to mention thanksgiving dinner! I have a plan for that as well :). We all have so much to be thankful for this year and finding you and your camp is one of them. Thanks for all the encouragement (nagging). Whoop whoop! Good news Darlene! Thx for the update. So glad your nutrition is on track. Let’s pair up that w some workouts and we’ll keep up the happy dance! You are really fabulous. Want to move to Vermont? It’s quite lovely here!I’ll keep you posted. Thank you so much. I have the feeling I am going to want to travel to Calgary after all this just to give you a hug! Hi,I just wanted to see how you are today. I’ve heard from a few of you, but some of you are sadly off my radar. I really would like an email or text to tell me what you’re up to. I promised that I’d be nagging you, and here I am. What do you have planned for fitness today? I know that I sent you to the Metabolic Charger workout. Remember that the workouts that I send are just suggestions, another decision that you don’t have to make if you don’t want to, but feel free to use any of the workouts in the program. And let me know about your eating. You know that nutrition is more than half the battle once you’re exercising regularly. Hey XXXX,I just wanted to check in with you. I notice you’re not logging your foods, but I hope that you’re still staying on track with no junk foods or take out. I can see a difference in how your body is looking and performing in camp. Let me know what’s up with the diet and how I can support you. Hi Shawna:I did my measurements yesterday, I lost a few inches, but my weight is not coming off as fast as I want and it seems that it is going up every week! I know that I haven’t been logging my foods, but I am definitely trying to eat better – except for yesterday that I went to Burger King for lunch (I only ate the burger — I didn’t touch my fries) of course I felt guilty and disgusting! and to top things up, I had plans to go for dinner with my friends to Boston Pizza.. so last night I only ordered a salad (I asked to substitute the bacon for an egg, the ranch dressing for italian dressing, and the breaded chicken for grilled chicken). Also, I’ve probably drank 8 cans of diet pepsi in the last 3 weeks, which I think it’s awesome because I was drinking 5 to 6 cans a day. Hi Shawna,I have been working all day and just got a break. I wanted to do today’s workout, but I can’t seem to find it. If you can send one quickly I will do that, otherwise I will just pick something to do. You’re a champ XXXX!It’s workouts like this, ones that you wouldn’t have thought possible before, that are going to make all the difference. Especially when you go hard at it for 15 min. Get in your driveway intervals or a walk later and call it a successful workout day! Boot Camp is more then a workout! It’s a family of hard working individuals who give support to each other. I have found my space in this giving, loving family about a year ago.I do not see Shawna as a “Drill Sergeant” but rather a leader. A leader, with her caring guidance has given me results both physically and emotionally. With the Shawna’s encouragement and the rest of the group I have gained so much more then work out: confidence and a higher level of self esteem. I leave each work out with a smile on my face. Knowing I have a place to go where I feel I belong and valued member of a supportive group. Thank you so much to Shawna and her loving boot camp family! Franca has lost over 150 lbs with the help of Calgary NW Adventure Boot camp! Her fitness level has sky rocketed along with her fat loss. It’s interesting to see that as she gets closer to her goal weight, her weight loss is slower, but she continues to lose inches.Way to go Franca! I was hooked on Shawna’s boot camp after the 1st week. We had such a variety of workouts that I was so glad I didn’t have to organize myself. I have used a personal trainer on and off for a few years and find that, for me, working out in this group has been very rewarding.She talks and teaches during our class, correcting posture, discussing nutrition, explaining why she has chosen these exercises for us. She offers an evening on Nutrition, easy ways to start to make changes and I have received some really good food for thought in her blogs, ideas on how to change my thinking about weight loss and turn it around. I have found all the suggestions logical and do-able. I have signed up to continue on the 6 month plan. Shawna is a great motivator. She helped me adapt my workouts when I was having low back pain. She is constantly checking to make sure that her “women” are doing ok and showing us how to modify or increase the exercise. I look forward to what the next 6 months has in store for me and my body. I just wanted to send you a quick note to let you know how much I am enjoying boot camp. I have signed up for my 4th session now and I am still so motivated and excited about the workouts. I love how the exercises are always so varied and that they continually challenge me even as my fitness improves and that is a FANTASTIC feeling!Your boot camp has made me a great deal stronger, I feel energized, and my fitness has significantly improved. I am a continual ‘work in progress’ with my fitness, nutrition, and overall health regime and so I very much appreciate your expertise in all these areas! You’ve made working out, dare I say, FUN! Thanks so much! I would highly recommend Shawna and the Calgary NW Boot camp. It has made a huge difference in my level of fitness. Believe it or not I actually am upset if I can make the class. The classes give me more energy and I have dropped sizes and my body is much more toned. The effects spill over into all parts of my life. I have extra energy for work and play and my mental health has also improved. I feel good and am having fun! I know I have said it before, (but probably not enough) – you are such an inspiration! I’m so lucky to know you and be able to learn from you each and every day! I’m super excited to be with you for another full year!YIPPEE!! I had the perfect life. It all fell apart when the police arrived in my office to tell me my husband had been killed in an accident. I don’t remember a lot about that time. After about six months I realized I was continuing in a downward spiral. I knew I had to start crawling back into life. I took a look at myself — now overweight, out of shape, miserable.I signed up for boot camp with Shawna. That was 7 months ago. At first it was the only thing that got me up in the morning. Now I bounce out of bed to go to boot camp. I know I have lost weight, I know I am starting to feel better, I know I am starting to live again. Without this fitness routine I don’t know where I would be. I don’t know exactly how much weight I have lost or what my body fat level is (sorry Shawna, but I’m not about to face that quite yet), but I KNOW it has improved a lot and I am looking forward to getting better and better. I love your routines; some days are harder than others but you are always there to encourage me to keep at it. Thank you Shawna for letting me sign up for boot camp…you have no idea how that first step changed my life. I am going to stick with your program for as long as possible. Just entered my last evaluation on your site and am sending you this morning’s photos. I don’t know if the measurements/photos show it but I am feeling stronger and beginning to see signs of baby muscle development. I can actually see my triceps when I straighten out my arm. As you know, this is not the end, but just a place along the path of working out and taking care of myself. Your program really, really works and I never tire of telling anyone willing to listen all about it. It’s kind of neat that I have had such results, considering my lack of athleticism and history of poor health. I think those factors make my progress all that much more special. Click to see if you qualify for this EXCLUSIVE program.